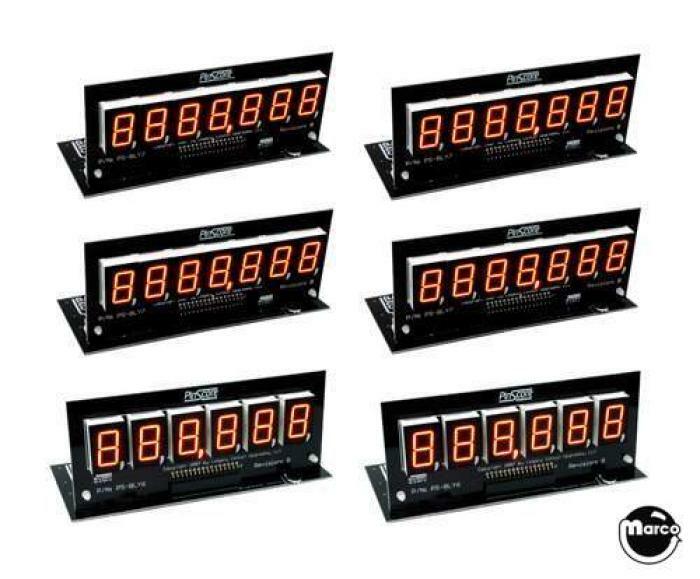 "PINSCORE Display PS-2518 Set C" has been added to your cart. PINSCORE combination set consists of 2 PINSCORE PS-2518-21( 6-digit) and 4 PINSCORE PS-2518-58 (7-digit) display modules. Used in games such as Bally MR & MRS PACMAN, MEDUSA, Stern LIGHTING.